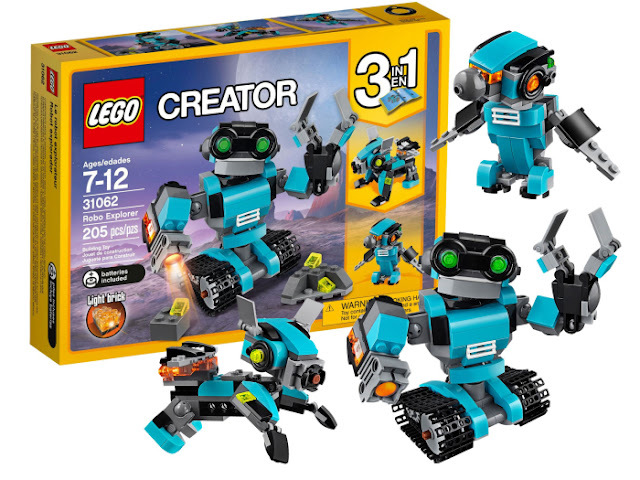 Head on over to Amazon where you can score this LEGO Creator Robo Explorer Robot Toy for only $15.69! This robot toy features bright-green eyes, working tracks, a rotating body and head, and posable arms with working claws and searchlight. It stands over 4″ tall and can be rebuilt into a robot dog with a light-up jetpack or a robot bird with light-up eyes.